Societies are very welcome at the golf club. 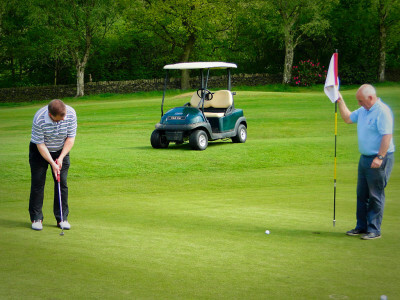 We have been welcoming golfers to our wonderful Cheshire course for many years. We can cater for all your needs, from bacon rolls to a full breakfast and a hot drink before you play. Followed by drinks and snacks in the bar to a full three course meal in our restaurant. Society packages start from £24.50* and can be tailored to suit your specific requirements. Please feel free to download our latest Society offers by clicking the link below or complete the form. We will be happy to help make your society day a complete success. Please note: Winter wheels for golf trolleys will be compulsory from 1st November 2018 until spring 2019. To enquire about availability or for more information on how we can best cater for your golf society please complete the form below and we will be pleased to assist you.